Did you know that today 750 million people around the world have no access to clean water? Just last night I gave my six year old son water to drink. It was cold, clean water. What a blessing and privilege it is to be able to drink clean water. I cannot imagine what it would be like not to have access to clean water. Yet, almost half the people in South Asia live with that sobering reality. Mothers are forced to give their children dirty water to drink. Can you believe that every minute a child dies from a water related disease? And to make matters worse the people living in rural areas have to deal with open defecation and the lack of sanitation. 65% of them have no access to a toilet. Yet, here in North America, the majority of us have access to more than one toilet in our homes. We have clean water at our disposal to wash clothes, cook, bathe, etc. I have seen images of women going to rivers to wash their clothes. In rural India, women and girls are largely responsible for collecting the water and household sanitation so they spend most of their time fetching water, walking for hours. This prevents many girls from going to school and exposes them to increased violence as they travel rural areas in search of water. They are malnourished due to regular contact with contaminated water. I grew up in Guyana so I know what it’s like not to have running water in the home and having to fetch water. However, unlike the women and girls in India, my family and I didn’t have to walk for hours everyday. We had a pipe in our yard and that’s where we drew our water from. And not having running water in the home didn’t happen too often and didn’t prevent me from going to school. Compared to the people of South Asia, I lived a privileged life even though I wasn’t convinced of that during those times when we had no electricity or running water for hours. In South Asia, living without clean water carries health and safety risks. In story, Water From the Rocks, the villagers used water from a pond for their crops and their cattle and to wash their clothes. They even used it to bathe but unfortunately this caused itching and swelling. Seeing this motivated Pastor Dayal to ask his leaders if they would be able to drill a Jesus Well in Nirdhar’s village. Thanks to the generous donations toward Jesus Wells through Gospel for Asia, they could. The villagers were incredulous, and one of them, could hardly believe that a well could be built in the hilly area where they lived. He feared that there might be hindrances too but nothing is impossible for the mighty God whom they served. God knew what they needed even before they prayed in faith, asking Him to provide the water they so desperately needed. Despite their skepticism, the local team the pastor hired to drill the well, went ahead with the project until they finally hit water. God had come through for the villagers. They had their well. That meant clean water for cooking, drinking, washing and bathing. Today fresh water flows abundantly in the Jesus Well, relieving the itching and swelling the villagers had experienced from the water in the pond. Jesus delivered Nirdhar from evil spirits and an entire village from thirst and so much more. We have a Lord and Savior who loves us and wants to provide for our basic needs. What affects us affects Him. He takes a personal interest in our lives. What a comforting thought. 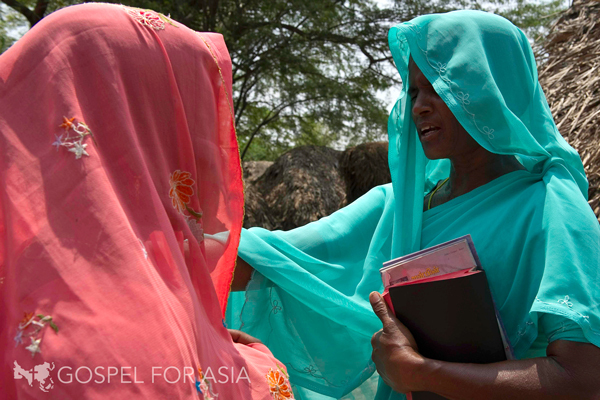 Through Jesus Wells, Gospel for Asia can share the unfailing love of the One who gave His precious life for them. On World Water Day and everyday, let us give thanks to God for the clean water we are blessed to have at our disposal and to purpose in our hearts to never take this essential source of life and sustenance for granted. Think about the men, women and children who still don’t have clean water and how you can help them by donating to Jesus Wells. 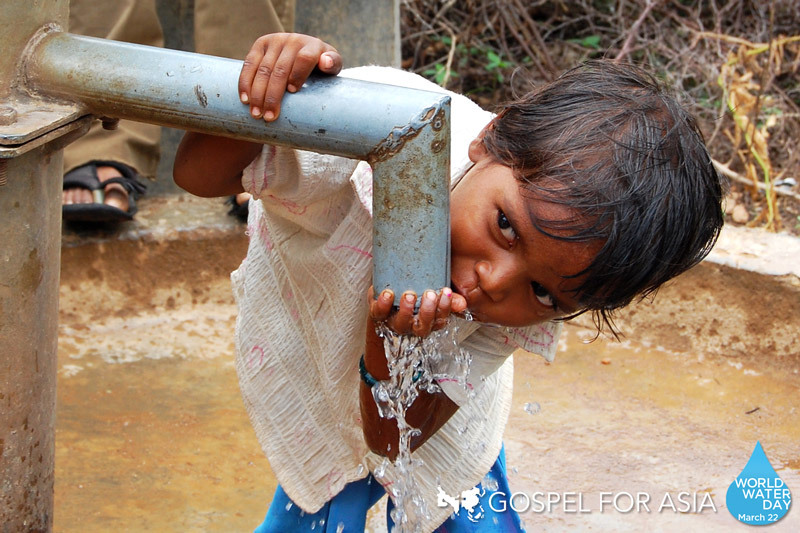 You can find out more about Gospel for Asia’s Clean Water ministry here. Clean water has so many benefits. It means that a mother doesn’t have to worry about her child getting sick. It means that a woman doesn’t have to travel for hours with her daughter to fetch contaminated water and it means that a girl doesn’t have to miss school. Clean water means changed lives. Sometimes talking to your child doesn’t work. Time out doesn’t work. I have been told that some children learn the hard way. It’s embarrassing for mothers when they take the children out to the mall or grocery store and they are forced to give the child whatever he or she wants just to keep the child from making a fuss. Sometimes the best thing a parent could say to a child, is, “No.” Children need to know that there are rules that they need to abide by. Their responsibilities are to follow instructions, obey their parents, teachers and anyone in authority as long as these instructions are never contrary to God’s Word. Wisdom comes from following instructions. Once children do what is required of them, all will be well with them. They will bring honour to God and their parents. Dementia is a significant global health challenge. 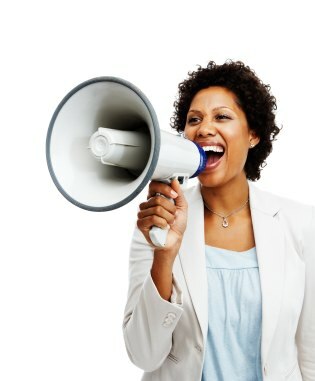 It is estimated that over 47 million people are living with the condition today. Nearly 60% of people living with dementia today live in low- and middle-income countries. In 2010, the cost to society was estimated to be US$ 604 billion (or 1% of the world’s gross domestic product). WHO believes that the number of people with Dementia will nearly triple by the year 2050. Next week, the organization is bringing a high-level group from 70 countries to discuss solutions. Check out their latest video on what it is like to live with Dementia, how it impacts not only those suffering with it but their families. I’m so used to having a nice, big kitchen with lots of natural light and a window that it’s hard to imagine preparing meals for my family inside a South Asian Kitchen. A South Asian kitchen is very basic yet this is where a mother prepares delicious food for her family. I read that in India women use wood, charcoal and animal dung for cooking. These can lead to serious health problems, including respiratory infections, low birth weight and eye problems. Cooking indoors increases the family’s exposure to smoke. Seventy-four percent of households cook their meals inside the house while 32 percent cook inside the house without having a separate kitchen or room for cooking. 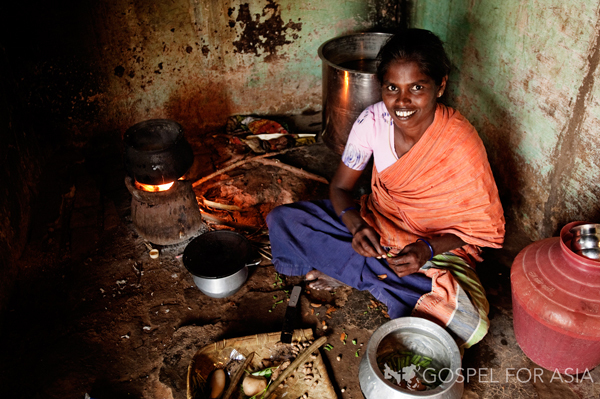 Gospel for Asia has prepared a recipe for chapatis, a flat-bread, typically made three times a day in Asia. I am thinking of making it one of these days. When I do, I will blog about my experience and share the recipe. As I make chapatis I will be thinking of the women in South Asia who have to make do with extremely basic kitchens with no proper ventilation. And I will count my blessings that I have an electric stove, a self-cleaning oven and a fully functional kitchen with running water. And I will be thinking of what can be done to improve the kitchen conditions for women in South Asia. The women in South Asia need access to clean water, improved sanitation and safe cooking fuel so that millions of deaths worldwide can be prevented. Just recently I watched the movie, Pride of the Yankees and was touched by the wonderful love story of baseball great Lou Gehrig and his wife Eleanor. Lou and his wife were married for nine years. They met in Chicago. Eleanor was from a well to do family, She met Lou in Comiskey Park and married him after a long-distance courtship. They lived in New Rochelle and then later in Riverdale. They travelled a lot but their life was centred on Yankee Stadium where Lou teamed with Babe Ruth, Lefty Gomez, Tony Lazzeri, Bill Dickey and later Joe DiMaggio. 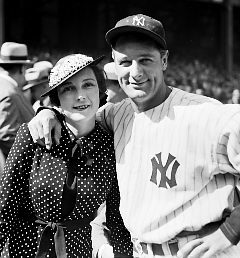 The Gehrigs’ lives were turned upside down when Lou was forced to retire in 1939 with the disease that later came to be known as “Lou Gehrig’s disease”. I remember the scene in the movie when Lou was in the locker room, untying his shoe laces and he toppled right over. Eleanor Gehrig later said that she never told her husband that he was suffering from a fatal illness. In the movie, he knew that it was fatal but he tried to hide the truth from his wife. Eleanor cheered him up at home with gatherings, parties and impromptu performances. He died two years later at the young age of 37. Eleanor said that she never intended to play the role of a professional widow to a celebrity although for years, she and Mrs. Ruth were greeted as “the great ladies” of the Yankees. In the movie, Pride of the Yankees, I saw the love that these two people shared for each other just jump off the screen. It was heartbreaking to see their happiness ripped away by a disease that claimed his life at such a young age. My favourite scene was when Lou gave Eleanor a bracelet, which was among the items, Mrs. Gehrig had lent to be used in the film, to add realism. And I liked how she kept a gigantic scrapbook of Lou. Eleanor felt that Teresa Wright was too young to play her. Barbara Stanwyck, Jean Arthur or another actress with more experience would have been preferable. Eleanor later said, “But now I know that no one could do better, or even as well as little Teresa. Of course she’s prettier and younger but then no woman could object to that, could they?” Of course, the movie was a success and grossed over $3 million and was one of the top ten films of 1942. It earned eleven Oscar nominations, including ones for Gary Cooper’s and Teresa Wright’s performances. Eleanor sold war bonds during World War II, raising over $6 million by auctioning off Lou’s memorabilia. She joined the local Red Cross, chauffeuring the disabled for which she received Presidential recognition. She worked for the All American Football Conference as a secretary-treasurer and then was promoted to Vice President after she resigned due to the fact that she couldn’t even balance her own bank account. Eleanor’s greatest achievement was her tireless efforts to promote ALS research. She partnered with the Muscular Dystrophy Association, testifying before Congress to fund research in various debilitating paralytic diseases. She eventually will most of her estate to the cause. Sadly, Eleanor’s relationship with her in-laws never improved. In the past, she never felt comfortable in their home. They would converse in German which she didn’t understand. And as portrayed in the movie, Lou’s mother, Christina was frequently clashing with Eleanor. The elder Mrs. Gehrig’s relationship with her son was a bit overbearing, smothering. She was one of those mothers who wouldn’t have approved of any woman her son showed an interest in. Not surprisingly, she had broken up his previous relationships. I remember in the movie, how she reacted when Lou first brought Eleanor home. Eleanor quickly picked up on her coldness toward her. I resented her interference in their lives. She tried to impose her decorating tastes on Eleanor, even going as far as putting up her own wall paper and moving in a chest of drawers much like the one Lou had in his old room. Lou had to step in and make it clear to his mother that Eleanor was the mistress of their home, not her. After Lou died, the relationship was forever marred when there was a dispute over the division of Lou’s estate. He had left his entire assets to his wife but he bequeathed the interest he got from stock investments and monthly payments from a $20,000 life insurance to his parents. His parents believed that Eleanor was withholding these payments from them and they sued her. The matter was privately settled but the discord between the two parties was never resolved. 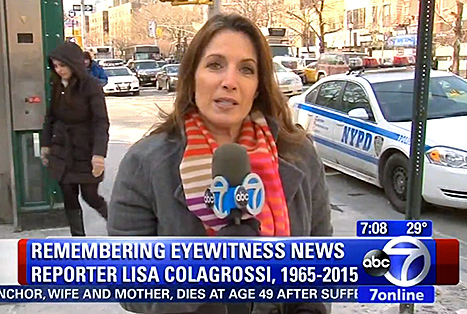 Notes to Women remembers this remarkable woman who loved her husband and stood by him and was a advocate for ALS, raising awareness and pushing for the funding of research. I had the best of it. I would not have traded two minutes of my life with that man for 40 years with another. Sometimes we envy people who seem to have everything but we have no idea what lies behind that picture perfect veneer. We don’t know what their lives are truly like behind closed doors and what they have to do to hold on to what they have. I used to find myself envying women who were happily married and who had more than one child but I stopped doing so because I realize that I have a lot to be thankful for. God has blessed me and I have every reason to be thankful and to count my blessings. Sadly, there are women in India who have experienced so much suffering and pain. For them, there is nothing to be thankful for. Hope eludes them and despair is their constant companion. Worst are the women who seem to have everything going for them–like Saachi. Her life seemed picture perfect. She was married to a respected military officer. With his generous income from the government she had nothing to worry about. She and their children were well taken care of. Until something changed that would turn her ideal world upside down. 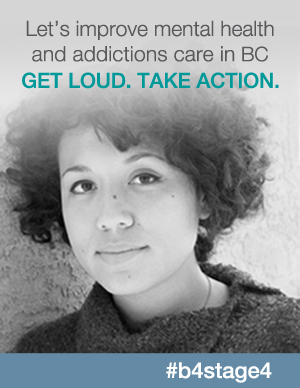 Read the rest of Saachi’s story at http://www.gfa.org/news/articles/engulfed-by-shame/ and try to imagine what it would be like to be in her shoes. As I read this woman’s story, I was overcome by the unexpected turn her once perfect life took. I watched as she sank deeper and deeper into despair until she thought she had found the only way out of her nightmare. Then, God intervened through Jabeen, a Gospel for Asia missionary worker and Saachi’s life was transformed. Find out how you can help missionaries like Jabeen tell other women like Saachi that they are precious to Him at this link: http://www.gfa.ca/women/sponsor/.